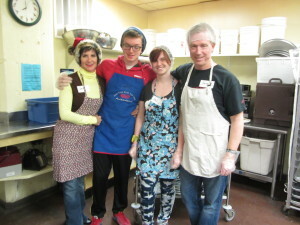 Our family volunteers at Siloam Mission. Yes, it is that most wonderful time of the year. For many of us it is a time to connect with people we love and care about, and to take time to rest and rejuvenate before a new year begins. Sometimes, it is also a very stressful time of year. There are gifts?to buy, cards to mail, and cookies to make – and those things can take away from the positivity of the season. Wake up with a pause: Set your alarm for just one minute earlier than you normally do. When the alarm goes off, before you get out of bed, choose to pause, smile and think of one thing for which you are grateful (it might even be that you are grateful to be able to pause and smile!). Open your heart to a stranger: Purposefully, look for opportunities to connect with someone who is a stranger to you – it might be the waiter in a restaurant you visit for lunch, or maybe it’s the cab driver taking you where you need to go. Stop, and do something small that opens your heart (ask the waiter what he is hoping for over the holidays, tell the cab driver how appreciative you are to be able to jump in to a nice, warm vehicle). Network with people you really like: Yes, we always hear how important it is to attend all of the holiday events and network, network, network. Well, this holiday season, choose to network with people who are positive and fun – only! Be polite to everyone else, but spend your precious time and neural resources on the people who are adding something positive to your day. Decide to focus on ‘what’s good’: After you pause, smile and think of something for which you are grateful, spend your time in the shower and on the commute to work asking yourself ‘what’s good today?’ ?Then, continue through the day, asking everyone else! Energize your mind, body and soul by volunteering:?This time of year inevitably presents opportunities to volunteer your time to help others. While help is needed all year long, you will benefit greatly by deciding to volunteer at this time of year. Our family has served dinner at a Mission, donated gifts to a family who lost their home in a fire, and provided food and holiday crafts to at-risk young people who are not able to be in their own home for the holidays. 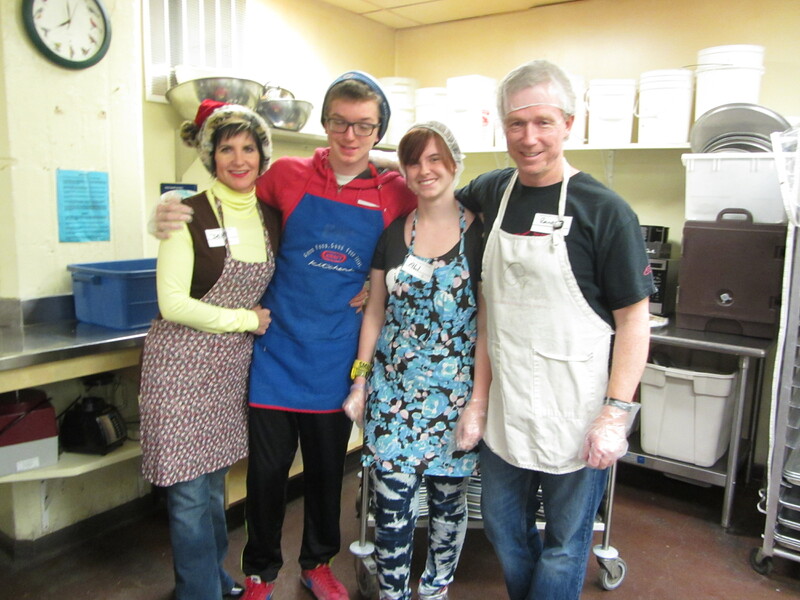 Every volunteer experience has added greatly to our individual and collective well-being. Refresh your vibe: Are your decorations the same old ones you’ve had for years? Have you never owned a ‘tacky holiday sweater’? Well make this the year that you refresh your vibe by adding a new element to your home decor, wearing a holiday garment that will surprise your friends, or doing just about anything that makes you giggle. Finish that project you started long ago: You know you’ve got them; that Afghan you started crocheting when your nephew was born (and he’s now 31), that wooden table that you thought you wanted to paint as a gift for your sister, those shelves you’ve wanted to reorganize for ages. Do it now! Undo what you normally might do: You normally do your shopping early so you can avoid the malls for most of the month – this year, do it differently and shop on December 20th. Notice what new transformations arise for you! Link everything to joy: No matter what happens – if traffic is slow, if your late shopping (see point above) causes a little anxiety for you, if you simply cannot find that toy your daughter really wants – reframe the experience to create a more joyful response (this slow traffic is giving me a chance to take a few deep breaths before I get to work, the high energy in the mall is helping me to be more efficient in my shopping process, my daughter will discover that her happiness over the holidays is not linked to any material object). What do you do the make the holidays as happy as possible? We’d love to hear your ideas. Deri Latimer is an expert in positive possibilities for people! She is one of fewer than 10% of speakers globally who hold the designation of CSP (Certified Speaking Professional), the international measure of excellence for professional competence, proven experience, and optimal client satisfaction. Deri combines a business degree in human resources management with 20 years of experience engaging audiences across every business sector. Deri provides inspiration and information to create psychologically healthy organizations for increased positivity, productivity, and prosperity! Thank you once again for such a positive post. I too choose Joy everyday. All the best to you and your family this holiday season. Thank you, Debbie! Let’s make 2015 a great year! Great suggestions and well crafted piece! Thanks for sharing a picture of your family that you always talk of. We have our very first live Christmas tree this year. Lovely to smell the fresh scent of pine in our home. Brings back nostalgic memories of my childhood Christmases. My fingers are crossed that we still have needles on the tree come Dec 25. Wishing you and your family a wonderful, stress-free holiday! Back at you, Debbie! I love real trees – the mess is worth it! !